1. What tradition of Chinese medicine is taught at the school? There are many traditions of Cinese medicine and different approaches to mastering the art. There’s Japanese acupuncture, Traditional Chinese medicine, the 5 Element school of thought, Oriental Medicine acupuncture, facial or cosmetic acupuncture, medical acupuncture, etc. Do a little research on the kind of acupuncture you wish to learn as they are not all the same. ACOS re-integrates traditional Chinese medicine as taught in the People’s Republic with a pre-cultural revolution, 400 year-old family tradition. The courses at ACOS meet and exceed the minimum requirements for the North American standard of education in the field of Chinese medicine, particularly in the areas of CM classics, history and self- cultivation.The programs at our school include the acquisition of the Chinese language, which deepens the ability for students to understand and research Chinese medicine in its original world view. 2. What kind of Program are you interested in? Do you wish to start a practice and see clients once you are trained? Do you want to add additional tools to other healing work you are already doing? Or, do you want to learn about Chinese medicine for your own health? There are programs at various acupuncture schools to suit all interests. There are three, four and five year programs training Chinese medicine professionals. 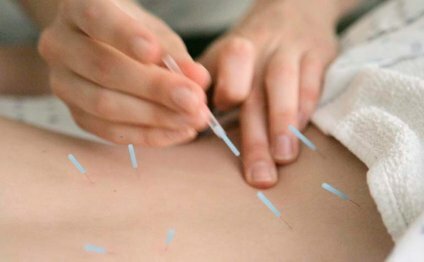 There are weekend courses for doctors and nurses or physiotherapists who wish to add acupuncture to their existing practice. And there are seminars, workshops and websites for those people just wanting to learn a bit about acupuncture or Chinese medicine for their own knowledge. There are Chinese medicine schools all over the world teaching in virtually every language. Being a science of the Orient, many of the ancient writings about acupuncture are in the Mandarin language and Chinese characters. At ACOS, our students are taught in English and also learn Mandarin relevant to Chinese medicine. This language component is taken in the first year of study, and many teacher’s notes and instructions are provided in both languages throughout the course. ACOS is one of only a few acupuncture schools in North America to offer this exposure to the Mandarin language and we feel it deepens each student’s understanding of the origins of Chinese medicine. 4. Who are the teachers? The instructors at the school you choose to attend will make all the difference. Choose a school that has instructors who have worked in the field, see clients in a clinic setting, and can comment on the practice of acupuncture. Many people may understand Chinese medicine theory but the art and skill that comes from seeing clients daily in a clinic setting cannot be learned from a book. Choose a school that has instructors who are experts in their field and who have real life experience in the courses they are teaching. ACOS is fortunate to have many high level instructors, from both Chinese medicine and biomedical backgrounds, including TCM practitioners, chiropractors, counsellors and Qi Gong masters. Each instructor is an expert in their field and most currently practice their profession alongside their teaching schedule. Some of our instructors teach in the mornings and then see clients in the busy ACOS outpatient clinic in the afternoons, where students are able to observe and learn about subjects discussed in the classroom. 6. What kind of learning do you do best? It’s important to know what kind of learner you are and in what kind of environment you learn the best. Do you prefer to work at home, from books or online? Do you prefer to be in a classroom, guided by an expert teacher and joined by classmates? Do you prefer to go to school at night and on weekends so you can still work during the day? ACOS offers on-site instruction two beautiful heritage buildings with experienced instructors and small class sizes. There are components of your training that can be done online or through self-study but the majority of our programs are delivered in-person, on campus, with teachers to answer your questions and classmates to study along with. The nature of learning a healing art like Chinese medicine requires a teacher on hand to guide a student. Canyon View Junior High School is a school in Edmonton, Alberta, Canada that serves 7th to 9th grade students from the southern section of Alberta. Students from Canyon View attend one of two high schools: Bergeson High School and Nelson High School.